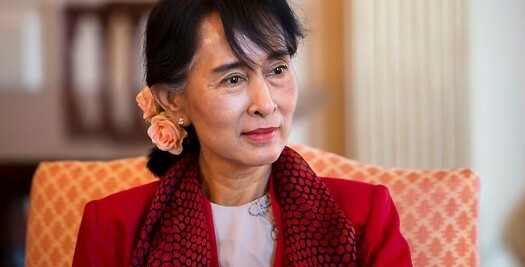 The British Gazette » Note to Aung San Suu Kyi: Don’t get ahead of yourself! The British Gazette has always had a lot of time for Burma’s (sorry Myanmar’s) opposition leader Aung San Suu Kyi. We think her plan for a government of national reconciliation – whatever the size of any victory at the polls – is the only sensible way forward. Her lack of reported comments concerning the Rohingya, the Muslim minority are understable: a tolerant western democracy that rejoices in diversity Burma (sorry Myanmar) is NOT! However, her comments about being “the power behind the throne” so to speak can only come back to bite her. The British Gazette’s advice: Yes, BE the power behind the throne but don’t make a song and dance about it!